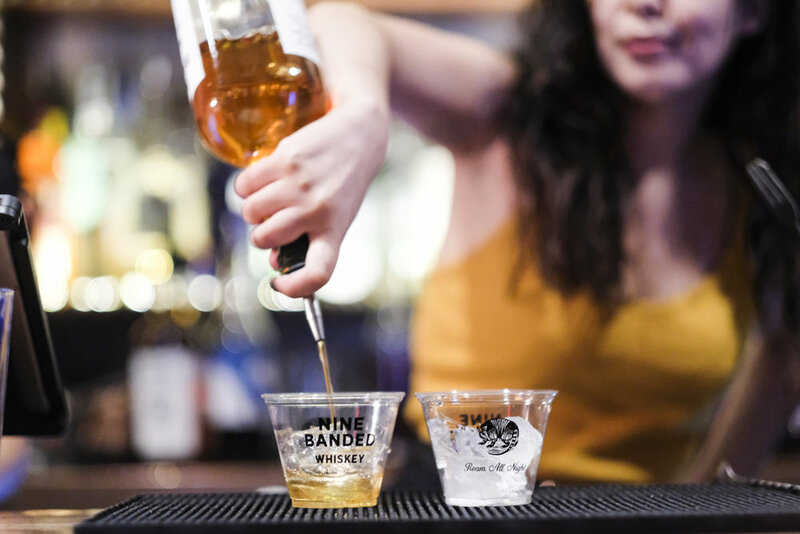 Nine Banded Whiskey & Native Hostels came together to put on a series..
We have gathered local musicians to help us celebrate Wednesday nights that roll into early Thursday morning. 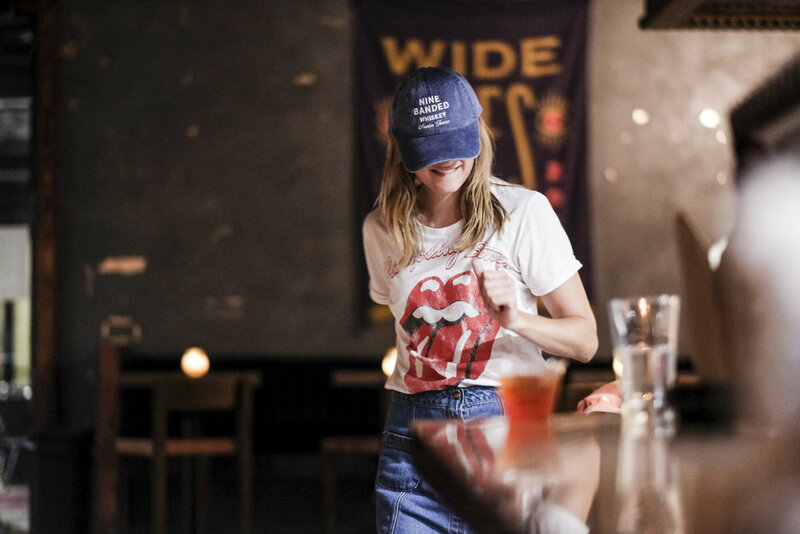 We gathered some of Austin's favorite musicians and invited them into the Native Hostel's living room. If you have never been to the Native, picture this - dimly lit, red suede sofas, dancing all night, coffee early morning..
What was once an old tool shop, has now become a staple of the Austin experience. 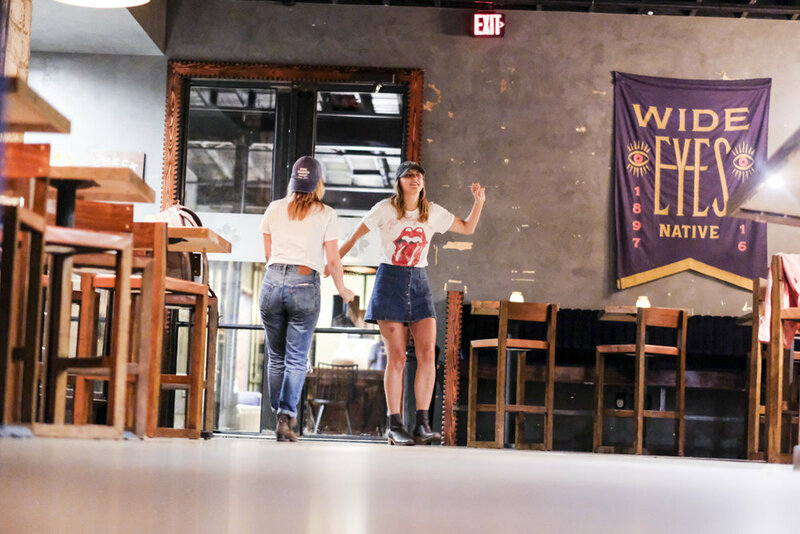 This bar, restaurant, hostel and music venue loves to celebrate all types of experiences from yoga classes to salsa lessons and slumber parties. Our favorite? Sittin' In Sessions. Your Wednesday night way to wind down, check out some killer music and get to know a few folks you never knew before. The first session kicked off with the Peterson Brothers.. This classic Austin band of brothers filled the room with sounds of blues and funk mixed together and mashed up to fit their own groovy tune. The room was swaying, singing, and sippin'. The next Sittin' In Sessions featured some of our new favorites.. The electric beats of The Oysters kicked off the night for the jam, punk, rock n roll sounds of Go Fever. Marmalakes and Teddy Glass were the featured artists of the third round of Sittin' In Sessions. These guys came in and brought the room to life. Our last session moved into the smooth sounds of KP and the boom boom opening up for another soulful superstar, James Robinson. Robinson filled the room with notes rivaling those of iconic Curtis Mayfield, Smokey Robinson, and Donny Hathaway. His music brings together influences of jazz, gospel, soul, rhythm & blues, and funk. The next round of Sittin' In Sessions are coming up..
August 8th will showcase Jake Lloyd and The Point. Join us for our bi-weekly, Wednesday Sittin' In Sessions. Let us know if the comments below which musicians you would like to see at the next Sittin' In Sessions.